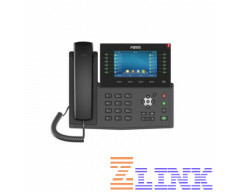 The Fanvil X7C IP Phone is a high-end enterprise phone for business users. The X7C boasts a 5-inch high-resolution color screen, 20 SIP lines, and HD Audio with Opus support. In addition to this, the X7C features built-in Bluetooth and WiFi connectivity. The X7C is an affordable, yet high-end IP phone for the executive user who needs to access all of their important information at a glance. 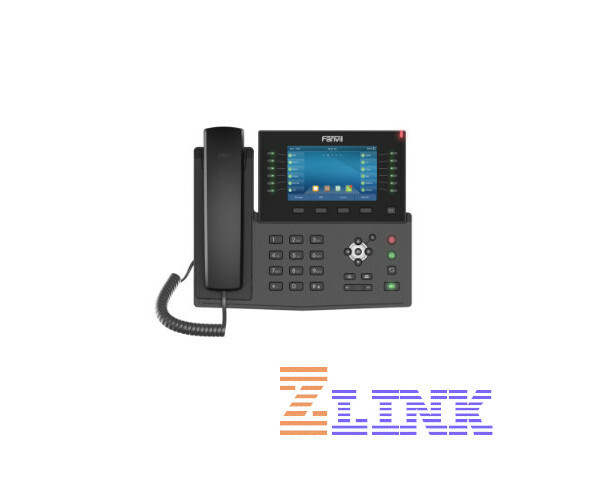 The Fanvil X7C IP Phone is a high-end enterprise phone with an intelligent DSS key corresponding display screen, which greatly improves the working efficiency of the enterprise with advanced design and high-cost performance. There are a total of 60 DSS keys, 12 of which are physical keys. The X7C can be connected to WiFi via WiFi dongle. It can also be connected to an EHS headset or a Bluetooth headset via built-in Bluetooth. The X7C also has a USB port that can be used for charging smartphones or other devices. X7C can be used as a mini PBX, to DIY a small communication & security solution. 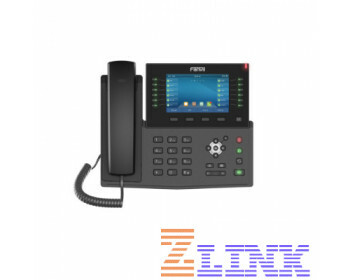 Connect Fanvil devices such as VoIP phone, SIP door phone, SIP speaker to X7C IP phone by network connections, forming a small DIY system through hotspot function of X7C, with no need to buy a PBX. The DIY solution is a perfect selection for a small office, small parking lot etc.